Emergency Call 911 is the famous emergency telephone number in United States of America, this telephone number is intended for use for people in need of assistance in case of emergency and it is also highly prohibited not to use such as frank calls because it is considered as a crime in America. 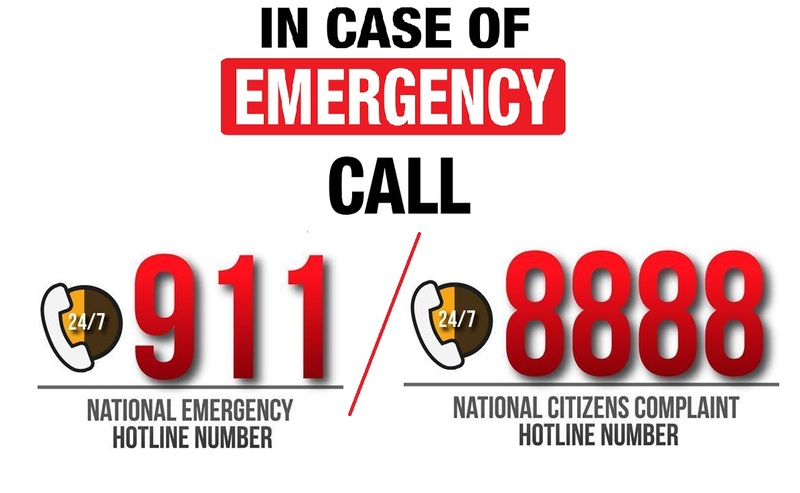 In the Philippines, President Rodrigo Duterte, amend the law to change the emergency call number to 911 from the previous emergency call number 117. Adopting the same principles used in America where he also apply in Davao City when he still the Mayor of the town. Aside from changing the emergency hotline, the president also explain the familiarity of dialing 911 against 117 and also to improve the services of emergency call and assistance in the country. In the previous emergency call number 117, there are several complain that emergency caller is not assisted properly where caller is being transfer from one person to another and another? That issue is now change in Duterte’s administration where emergency caller is now directly assisted once he or she dial 911. 1. Immediate medical help in time of disaster and accident. 3. Immediate response or assistance in case of fire. 1. Report a corrupt official of the government. Both hotline are available in the country 24/7. No Comment to " Know the Purpose of PH Own Version of Emergency Hotline 911/8888 "